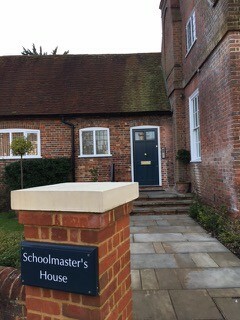 I am a Chartered Psychologist with extensive experience in treating a wide range of psychological difficulties in adults (aged 17 and over) with a clinic in Petersfield, Hampshire (Show on Map). Petersfield is easily accessible by car/ train being located off the A3 between Guildford (approx. 30 mins) and Portsmouth (25 minutes) and is on the main line from Portsmouth to London Waterloo by train. I specialise in assessing, diagnosing and working with clients who have Asperger’s or an Autism Spectrum Condition (ASC) and clients who may have been diagnosed with a ‘Personality Disorder’ as a result of complex trauma. The Division of Clinical Psychology contests psychiatric language that labels rather than explains the nature of the difficulties that clients struggle with. If we work together, we will be focused on the specific difficulties you are experiencing. 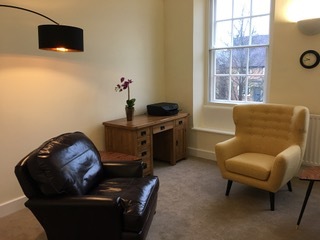 I offer a range of therapies that have strong evidence supporting their effectiveness and specialise in Cognitive Behaviour Therapy (CBT), Dialectical Behaviour Therapy (DBT), Schema Therapy and Compassion-Focused Therapy. These therapies help people to understand and manage their difficulties in order to achieve greater wellbeing and fulfillment in their lives. I also use mindfulness-based approaches to help clients let go of emotional suffering and build more accepting/understanding ways of relating to themselves. 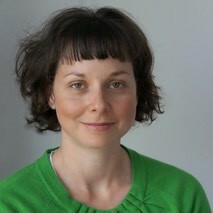 I am experienced in adjusting these therapies for the needs of clients on the autism spectrum. Drawing on my professional training and extensive clinical experience, I have a detailed understanding of many psychological conditions. I will work in close collaboration with you to choose the most effective treatment to help you overcome your difficulties and achieve your goals. I am informed by best practice guidelines recommended by the National Institute of Clinical Excellence (NICE). I offer telephone consultation and video-conferencing sessions where appropriate. If your difficulties are placing your relationship under strain such that you want to seek couples counselling, contact RELATE. 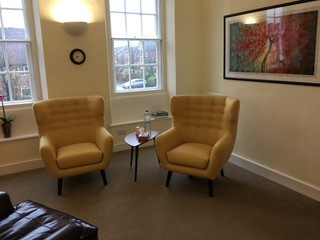 If you are experiencing any of the conditions described above, or are unsure how psychological treatment could help, or want to find out more about therapy for someone close to you…. Sometimes someone may be struggling with several conditions at once, have had difficulties for a long time or have had periods of previous treatment which was limited in its effectiveness. If your difficulties are having an impact on many areas of your life such as your relationships, ability to work, ability to carry out everyday tasks or take care of yourself/ enjoy life then longer-term psychological therapies (24 sessions +) may be needed. For more information on the different types of mental health problems and treatment options contact MIND. I offer specialist assessment and diagnosis for Autism Spectrum Conditions (diagnostically termed ‘Autism Spectrum Disorder’) in adults and adolescents aged 17+. Autism Spectrum Conditions (ASC) exist along a ‘spectrum’, with some individuals experiencing more severe difficulties than others. Other features of ASC include: difficulty coping with change, hypo/ hyper sensory sensitivity (e.g. noise/ sound/ touch/ light), idiosyncratic speech; difficulties understanding emotions, intense emotional outbursts. Sometimes ASC can be ‘missed’ in females because the presentation can be more subtle and standard tests can be more biased towards typically male presentations. This can result in females experiencing a variety of alternative diagnoses or ineffective treatments over time. If you are female and think you may have an ASC, you will need a clinician who is experienced in adapting the assessment process for females. I have a clinical specialism in assessing and treating women on the autism spectrum. The specific features of ASC can mean that managing work, forming/ maintaining a social life or relationships, coping with study or living independently are very challenging. This can give rise to recurrent low mood/ anxiety and a sense of low self-worth. Specialist assessment and diagnosis can help you understand yourself better and make recommendations to help you manage your life more effectively. It may also help you access further support or specific benefits you may be entitled to. Additional therapy, adjusted for the needs of those with an ASC can also help to improve your mood, social skills and relationships, understand and cope with your emotions and cope with changes better. If you think someone close to you has an ASC, you may be concerned that they are not living to their full potential or require additional support. If you suspect that your partner has an ASC you may experience them as emotionally distant or insensitive to your emotional needs at times which may be placing your relationship under strain. If you would like to find out more about what is involved in a specialist ASC assessment or think you or someone close to you may benefit from an initial screening session to determine whether a full diagnostic assessment for ASC is required, contact me. I offer psychological supervision to psychologists in training, qualified psychologists and other allied health professionals/ therapists. I draw on several models of therapy to help support you in your work and reflect on your professional practice. I can offer video conferencing / telephone sessions if required. ‘Personality Disorder’) or would like to find out more about specific therapies that can help a range of clinical problems such as Compassion Focused Therapy (CFT), I would be happy to discuss your needs.